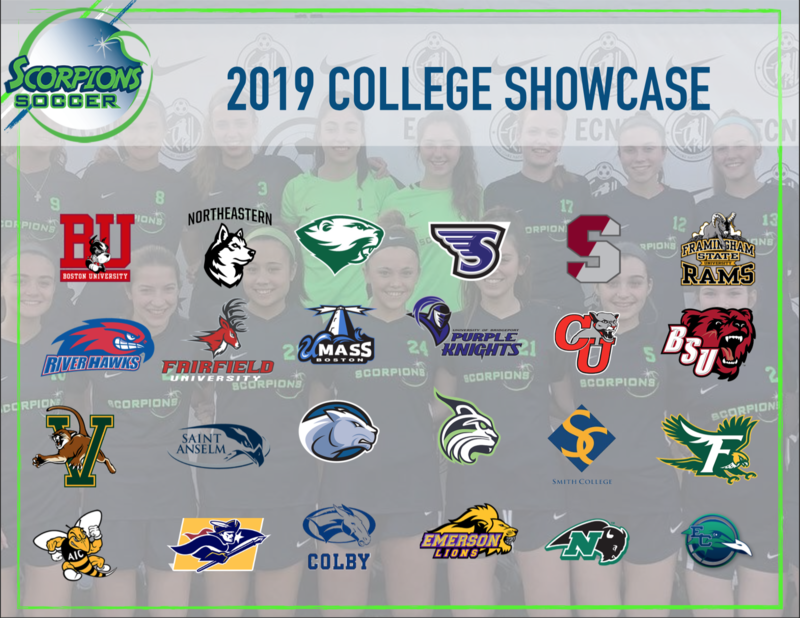 This showcase is for Scorpions Soccer Club U15-U19 ECNL, NPL and NEP players only!! All College Coaches in attendance will have the opportunity to watch and evaluate our top players in a closed door 11v11 match setting. 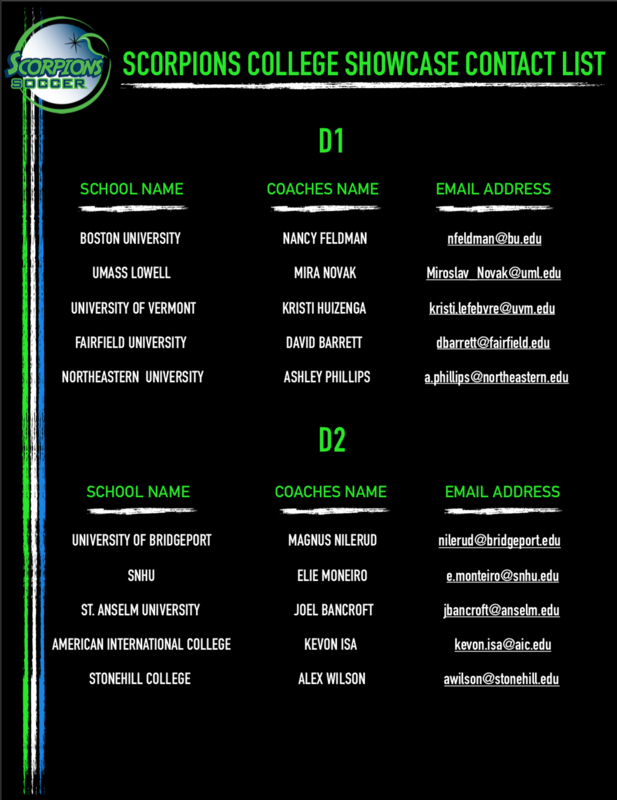 Our coaches will be on hand to answer any questions or provide any insight into any players coaches may be interested in. 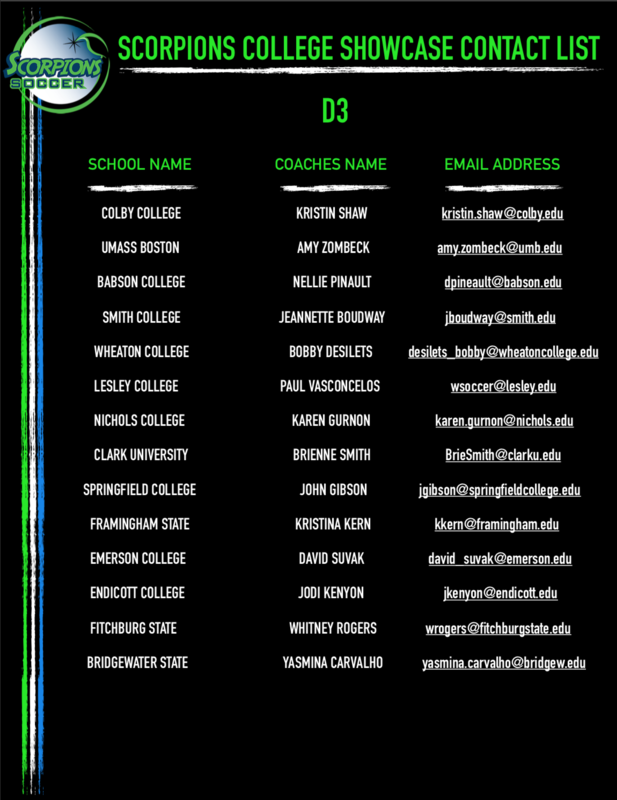 We will also provide information packets which will contain academic and athletic information on each of our players at the Showcase as well. We will have pizza and waters/gatorades on hand as some coaches will be there for a long day watching both groups, which we appreciate! All players attending the showcase will be uncommitted. If you or someone from your staff are able to attend, please take a moment and fill out the google doc below so we know how many Player Info Packets to prepare as well as gauge the pizza and drinks needed. Let me know any questions and thank you so much! Hope to see you on the 21st.